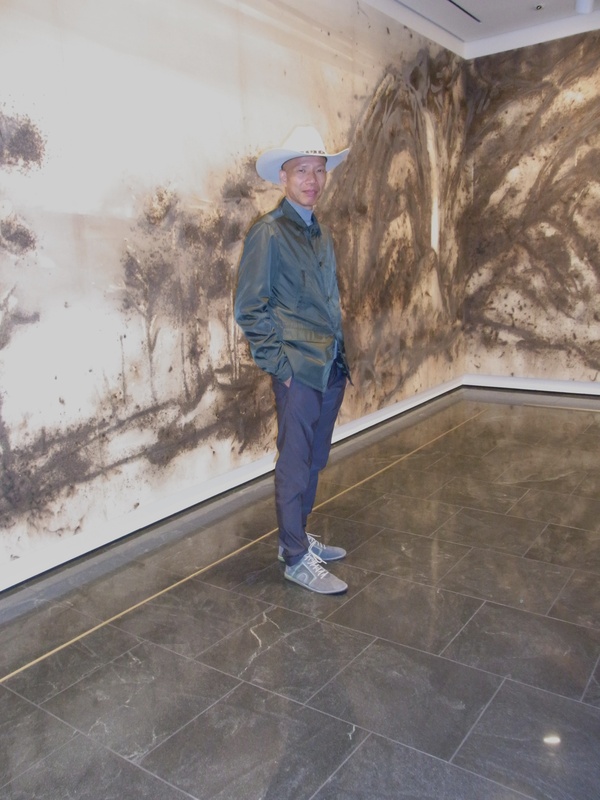 Cai’s latest gunpowder drawing Odyssey was unveiled to the public last weekend at the Museum of Fine Arts, Houston. 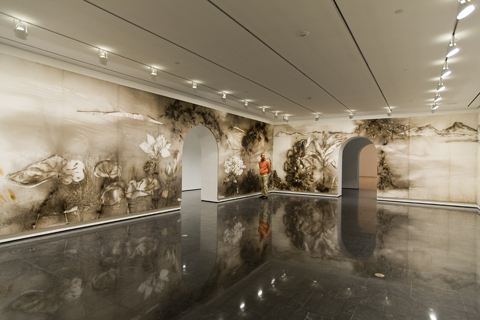 Spanning approximately fifty meters and mounted as a permanent installation, it is his largest gunpowder drawing to date in the United States. Culturemap.com in Houston followed Cai in his journey–from the call for volunteers, to the ignition, to the final installation. 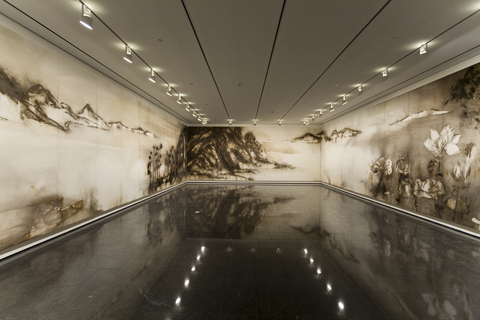 Installation view of Odyssey. Photo by I-Hua Lee, courtesy Cai Studio. Cai with "Odyssey". Photo by I-Hua Lee, courtesy Cai Studio. Also, the city of Houston would like to know if you have ever seen anyone so excited to receive a cowboy hat. Cai with his wife Hong Hong Wu, upon receiving a cowboy hat from MFA Houston. Photo by Karen Chen, courtesy Cai Studio. 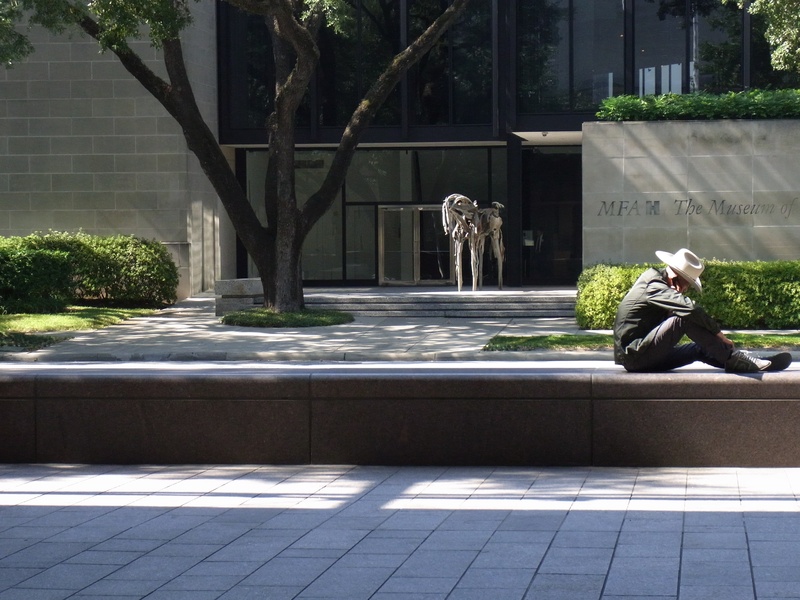 Photo by Tina Tan, courtesy MFA Houston.